Working in collaboration with PLP Architecture, Gustafson Porter + Bowman were one of seven teams shortlisted from over 700 entries to redevelop one of the most notable buildings in Paris: Tour Montparnasse. 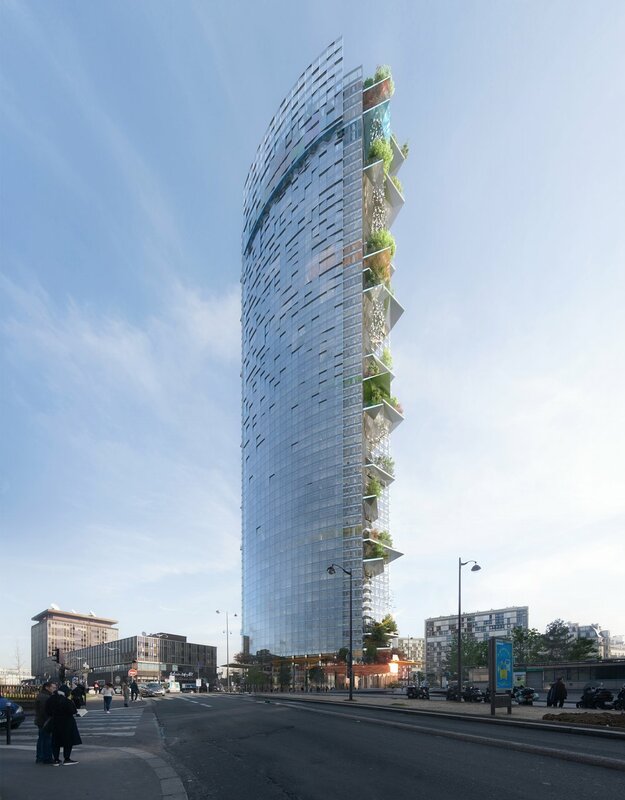 Our design improves the connection between the tower and the wider urban fabric and reconciles ‘La Parisienne’ within the artistic Montparnasse district by encouraging new activities and events. The redeveloped square is approached through lines of trees from five surrounding avenues which create a welcoming public realm and support new desire lines, thus resolving existing notions of isolation. Our remodelling of the ground plane opens new vistas and creates new spaces for the public to relax and meet. These spaces also link with the various podium and upper ground levels, therefore reaffirming the tower’s physical connection to the public realm. Large areas of new planting and trees make use of long periods of sunlight whilst improving thermal comfort, increasing biodiversity, and addressing the Urban Heat Island effect at street level. Our team also included Explorations architecture, WSP, GV Engineering and SNAIK, and was chosen for the collective experience of working to weave modernity into a historic fabric, creating juxtaposition rather than contradiction.Designed by Eugène Beaudouin, Urbain Cassan and Louis Hoym de Marien, the 59-storey building was the tallest building in France until 2011.